Billerica: “As concealment techniques grow more sophisticated, detection capabilities must become more comprehensive,” says the head of one of the world’s top X-ray detection providers in today’s Maritime CEO interview. Chuck Dougherty is president and ceo of American Science and Engineering (AS&E), a firm providing ports with a variety of technological solutions to keep an eye on the cargo passing through its gates. “We’re leveraging our domain expertise to help customers solve their most challenging inspection problems using a collaborative approach to understand their concept of operations, identify opportunities for enhancing operational efficiencies, and design their ideal scanning solution,” Dougherty says. 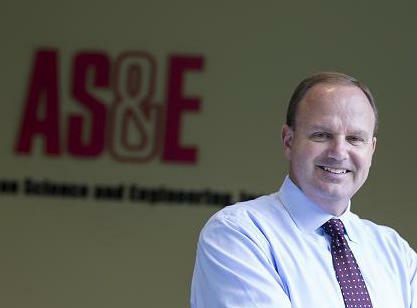 AS&E’s global footprint is growing. This year it has added direct resources for sales and service in the Asia Pacific region and other high-growth markets such as the Middle East and Latin America. The company is also leveraging its knowledge, image processing, and analytics expertise to highlight potential threats to assist operators, who screen hundreds or even thousands of containers each day. “We can capture all of the data and analyse it to help the operators identify areas of concern. This is a great example of automation of the screening process,” the American national concludes.